Be the first to share your favorite memory, photo or story of Ora. This memorial page is dedicated for family, friends and future generations to celebrate the life of their loved one. 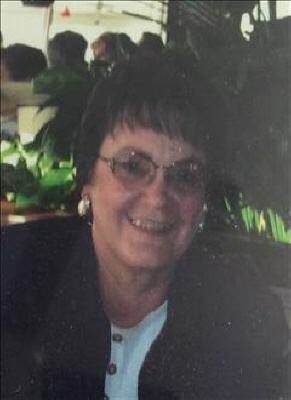 Ora â€œFayeâ€ Smith Morgan passed away Thursday, March 14, 2019 at her home in Comanche, with her Daughters by her side. She was born February 27, 1941 to Dee and Lydia (Wood) Smith, in Stephens County East of Duncan, OK.
Services will be 10:00 am Monday at the Ray of Hope Church in Comanche with Pastor Rick Duncan of Yukon officiating. Interment will be in the Fairlawn Cemetery in Comanche, Ok.
She attended Velma School and liked making Quilts and jewelry, loved to bake cakes and pies for friends, gardening and raising cattle. She liked sewing, especially for her Great Granddaughter whom she dearly loved. She also liked making wild plum jelly and entering it in the Fair taking home a few blue ribbons over the years. She worked at Comanche Seed and Grain for 25 years then owned and operated Victory Silks for the last 6 years. When her children were in school she never missed a game. She enjoyed watching her kids play softball and football. On August 30, 1957 she married Thomas Cox Jr. in Duncan, Ok. To this union 3 children were born. She later married Ronnie Jones then Pat Morgan of Comanche in 2000. She is survived by her children, Arlan Cox and wife Peggy of Crowder, OK, Vickie Gildon and husband David of Comanche, and Angela Brown and husband Jeff of Yukon, Ok. One Grand-daughter, Telayna Brown of Duncan. One Great Granddaughter, Emma Wendt of Duncan. Three sisters, Joyce Davis and husband Bill of Duncan, Deanna Burton and husband Don of Velma, and Darlene Foster and husband Charles of Velma. Several Nieces and Nephews. Pall Bearers will be Chad Welch, Zachary Welch, Jeff Rather, Eddie Burton, Terry Gordon, and Randy Jenkins. Honorary Bearers will be Freddie McCord, Billy Ford, Greg Cox and Clayton Presgrove. The family will receive friends from 5-7 PM on Sunday at the funeral home. To send flowers or a remembrance gift to the family of Ora Faye Morgan, please visit our Tribute Store. "Email Address" would like to share the life celebration of Ora Faye Morgan. Click on the "link" to go to share a favorite memory or leave a condolence message for the family.